kelbysews: I Have a New Pattern....and My Own Show!!!! I Have a New Pattern....and My Own Show!!!! Sooooooo, in case you haven't heard, I have my own show! A webseries on QNNtv! It's a FREE show, you just have to sign up for a FREE QNN account. (You can click the link on the upper left part of my blog to go to the site.) The concept of the show is pretty simple: I use a more traditional/vintage pattern featured in an upcoming magazine issue and remix it to make it my own, slightly more modern version! That's not all, we also have a guest every episode showign their remix so you'll get even more inspiration!!! The first episode has already been released and a new segment will follow every week! 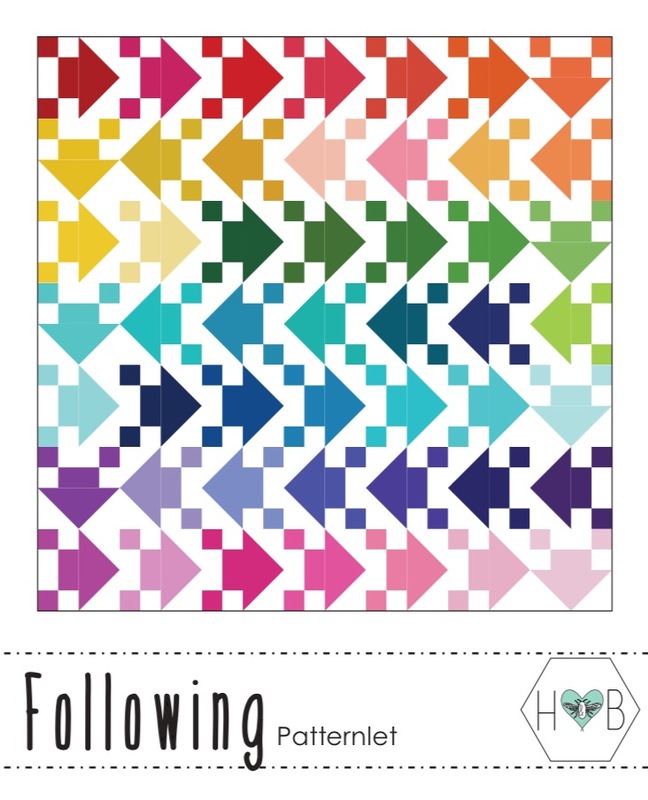 First up is my pattern, Following! Don't you just love a rainbow?!?!?!? You can find the pattern in my Etsy or Craftsy shop!!! Squeee!!! I'm so excited for all the cool quilts to come! There will be a new one every month ALL YEAR so stay tuned!!!! What's the name of the video? When I tried to find you on there it brought up a video that I had to purchase. Maybe I misunderstood but I thought you said it was free? Thanks for your help! Tried to find your show but nothing appeared. Sorry! Disappointed that I had to go all over QNNTV and still never found how you made the Rainbow Fish. Too much chatter and not enough directions.